It was a mistake to decline the tuktuk drivers for the short ride from the station to our hostel. Happynest Hostel is just near the Old Chiang Rai Bus Terminal. But the 10THB would’ve spared us some hundred meters of walk with our bulky backpack under the midday the sun. Comforts immediately welcomed us when we finally saw the hostel’s signage together with the nonchalant façade of the building. There are several doors but we availed the one nearest to us, we were that exhausting. A lady accommodated us at the front-desk and asked for information about our reservation. Standard check-in time is 2PM but since our private room was already unoccupied that time, they allowed us to check-in on the dot. 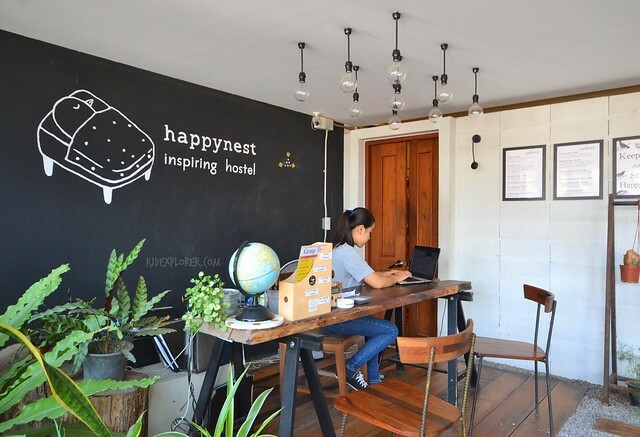 Apart from private rooms, Happynest Hostel also provides dorm rooms for travelers visiting Chiang Rai, Thailand. 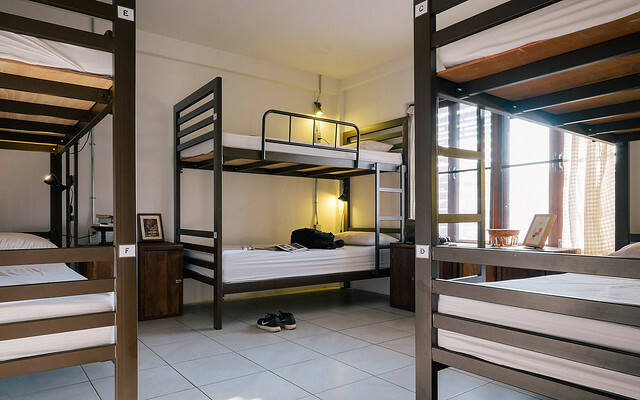 They have 6 and 8-bed mixed dorm rooms priced from 7 to 9$ per night on the 3-storey property. After our stay, I found out that the hostel is owned by three people; two are architects and the other one an interior designer. Their professions are very visible on the hostel’s design and interiors. The hostel’s chic lobby, loft style, will definitely encourage travelers to engage in conversations and get to know other travelers. The whole concept and design of the common lounges are really catchy and up-to-the-minute. 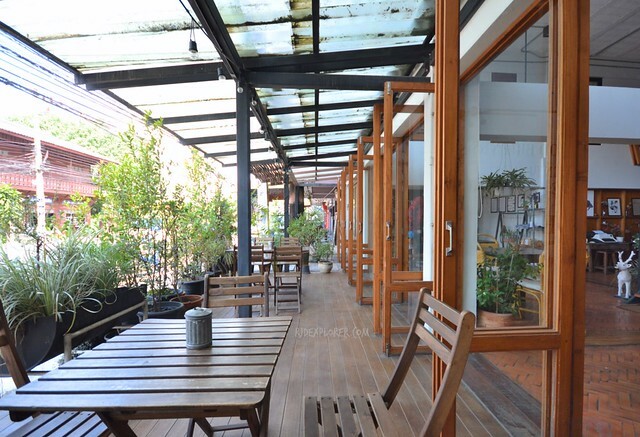 Main hall has several wooden tables and chairs that extend to a small patio that duals as smoking area. One of the lounges has a couch, having several colorful pillows, best for some board games and Jenga, be inspired by the quote on the wallpaper, and some consultations with the Macbook for some last-minute research. 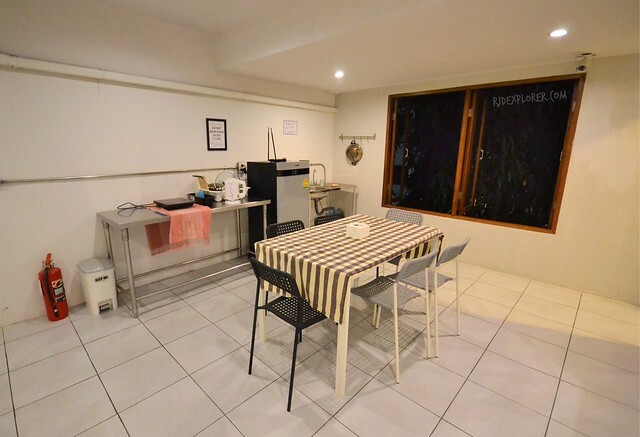 Adjacent area is a counter and a guest kitchen. 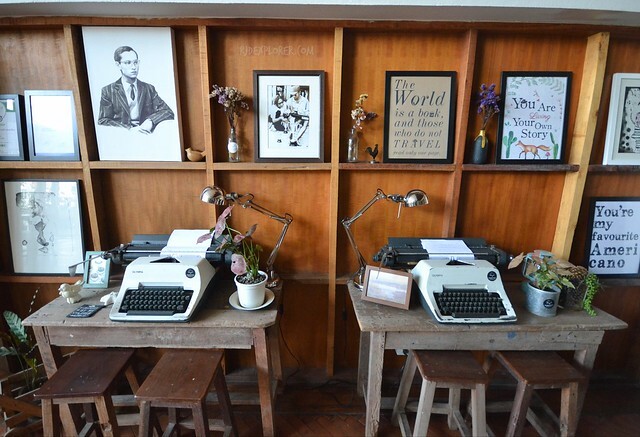 Next one used typewriters and old-school stuff to amplify the mood of the lounge. Getting on the second floor, on a wooden staircase, will offer more space for travelers. Common spaces are not that huge yet intimate enough for some stories over cup of coffee. Instead of availing bunk beds on shared rooms, Doi and I decided to get a private room. The only available that time was a Triple Room that costs 1900 THB, good for 3 and already includes complimentary breakfast. The room has two beds: a queen and a twin bed covered with wrinkled yet clean and soft sheets. Every side of the bed has a basket that I used to contain my stuff from coins, keys, and gadgets. It’s a perfect holder for gadgets when connected to the power source that is also available on every side of the beds. The entire room was only illuminated by three incandescent bulbs amazingly suspended using a bendable metal rod. Room amenities include a flat-screen television, a working desk made of bamboo, free bottled mineral waters, and room slippers. In addition, an open closet with few clothe hangers and a laundry basket. I heard that the hostel has a laundry facility but only washing machine is available. There was no dryer and since we only had a night to spend in Chiang Rai, the staff suggested of having the service of a nearby laundry shop. The en-suite bathroom is separated from the room through a curtain for the main door. Toilet and shower are in different enclosures with frosted glass doors for privacy. The toilet has a bidet while the shower is equipped with hot and cold water. Fresh towels are available and shampoo and shower gel on dispensers. Cloth rack is also available inside the bathroom. I was able to explore the upper floors and found out that each floor has a dining table, counter sink, and a fridge. 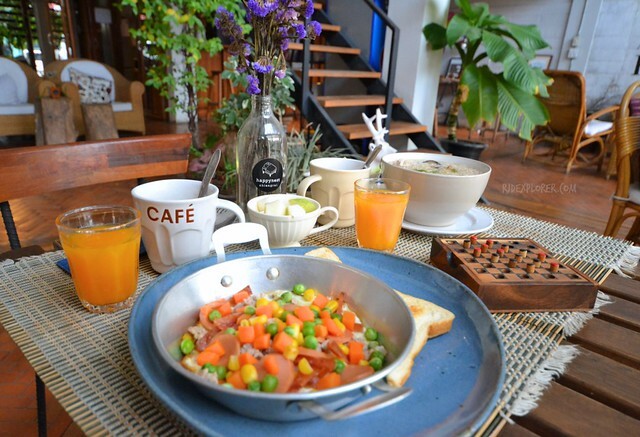 For breakfast, the hostel has 4 options available: eggs with sandwich, Thai style rice soup, Vietnamese style fried egg, and French toast all come with brewed coffee, orange juice, and fresh fruits. 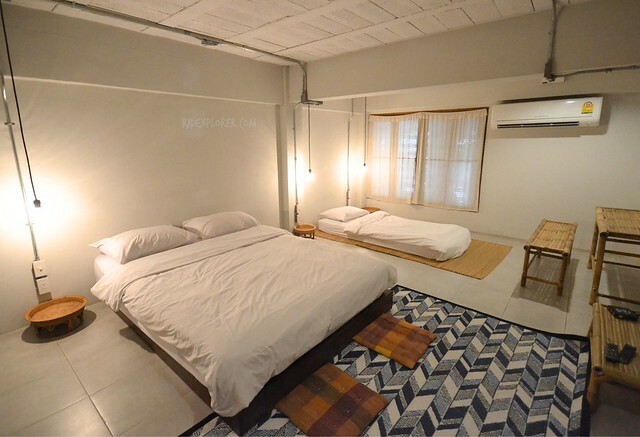 Aside from the 700-meter distance from the old bus terminal, Happynest Hostel is also a short walk from the night market. From the night market, you can walk less than a kilometer to visit Chiang Rai Clock Tower and try some coffee and Pad Thai on some cafés in the area. In addition, few blocks from the hostel is a cat café that is home to many, obviously, cats! Chiang Rai Airport is a 15-minute taxi ride away from the hostel. If you cancelled or modified your booking up to 7 days before your arrival, there will be no extra fee. On the other hand, 50% of the first night will be charged if you cancelled or modified 7 to 3 days before your arrival; 100% of the first night will be charged if you had the changes below 3 days. Due to language barrier, talking to the staff sometimes was an issue. However, it didn’t prevent them to extend their utmost help to us. They even helped us in asking for a quotation on our plan of visiting destinations and attractions in Chiang Rai via tuktuk. During our last day, they volunteered to call a taxi that would bring us to the airport. 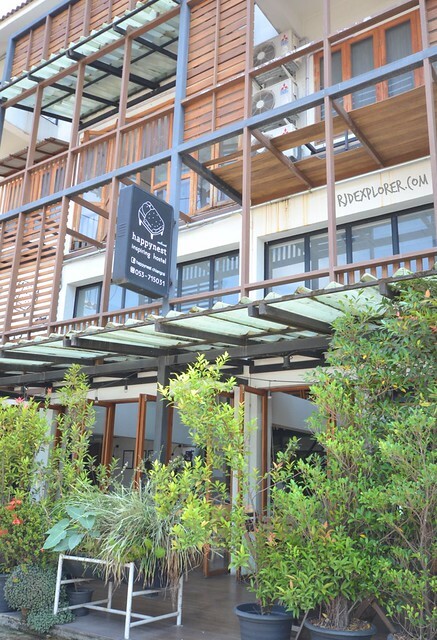 Fusion of nature and modern architecture give Happynest Hostel a unique and relaxing ambience that is notable from the usual hostel living. It was just a swift stay for us but eventually will consider the hostel again when we visit this part of Thailand. Book your stay in Chiang Rai, Thailand by clicking on the banner below. * Dorm room photo taken from hostel’s website. 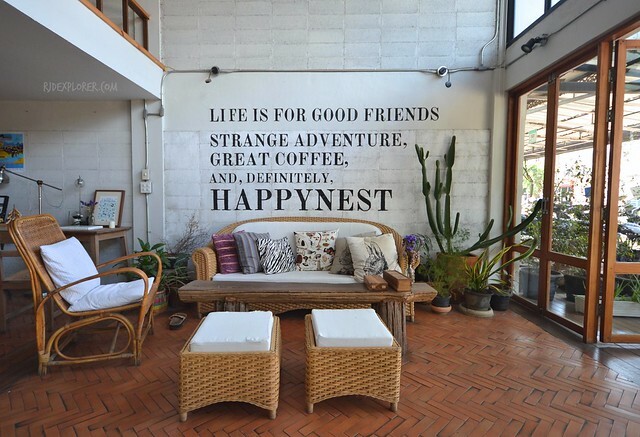 Disclosure: Thanks to Happynest Hostel for accommodating us on our stay in Chiang Rai. All opinions stated on this post are my own.